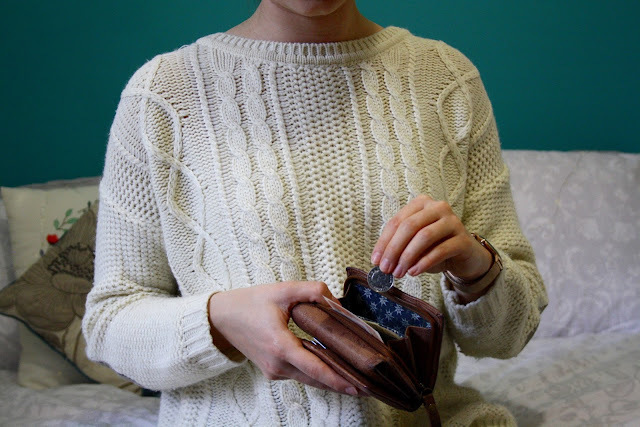 Hands up if you still haven't quite mastered the art of budgeting yet. Let's face it, it's a tough nut to crack. When it approaches the the end of the month, our bank balance can make for painful reading. We curse every Starbucks coffee and Uber journey that we took just after payday when we were feeling flush. But it's ok, we've all been there. 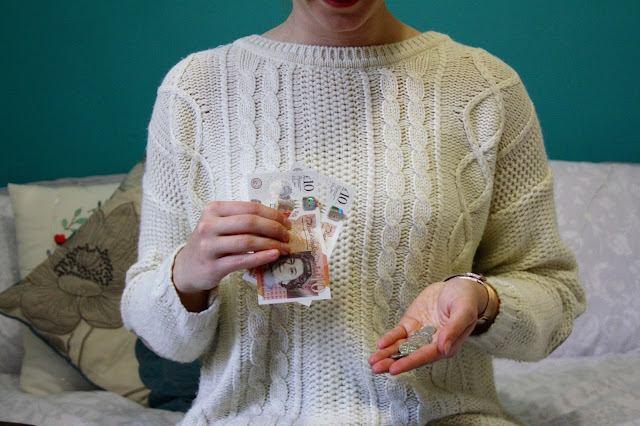 For that reason, today I'm going to share with you some of my top saving tips for the three areas where most of us tend to splurge - food, clothing, and travelling - as well as some motivation aids for when you inevitably start to flag! There are no less than 35 tips packed in to this post, so I'm confident you'll come across some golden advice you haven't heard before. Check the reduced section of your supermarket for cut price items. Most supermarkets will sell produce that is due to go out-of-date that day at a considerable discount. Hitting up this section, seeking out these items, and popping them in the freezer when you get home is a great way to save! Think carefully about "deals", are they really a good price? Two pizzas from the fresh range for a fiver might seem like a great deal, but not when you notice that you can buy three for that price from the frozen section! Cook in bulk and freeze for later. A slow cooker is ideal for this! Every time I batch cook in my slow cooker, I make enough for four meals. These are easily re-heated later - cheap and convenient! Bulk out meals with cheaper, healthier ingredients. Recently I've been using lentils for this. As well as being super healthy, lentils are also pretty cheap and they make a mean vegan lasagne. A can from Tesco is about 60p! Plan out your meals and take a list shopping with you. Doing this when you hit the supermarket means that you'll end up buying fewer unnecessary things "just because" and you'll waste less too. Try living out of your cupboard / freezer for a week. You'll be surprised at how much is in there that you'd forgotten! Make your own lunch! One of my biggest saving sins is associated with lunch. The number of £3 Tesco meal deals I wasted money on when I could've saved a packet by just making lunch at home is shameful! Learn from my mistakes and make a sandwich at home. Take your calculator around the supermarket with you. This will enable you to tot up your shop as you go and may convince you to be a bit more frugal before you reach the checkout. Sign up for a Tesco Clubcard or a Morrisons More card. These will earn you points which lead to discount coupons! If you love eating out too much, get an NUS card. If you're a student, you can purchase an NUS card which will entitle you to discounts at loads of restaurants. 40% off at Pizza Express on Mondays and Tuesdays is a firm fave of mine! Visit charity shops! You might get a couple of items for £40 in Topshop these days, but you can get double (if not triple) that number by shopping in charity shops. And you'll be supporting a great cause too! What's not to love? Ask about student discount. Many stores do offer student discount, but they don't advertise it widely. Always ask as you're paying at the till. The worst the cashier can say is "no"! eBay / Depop any clothes you haven't worn in the last 6 months. Even if you're selling them for 99p, every little helps! Limit yourself to a single new item a month, or every 2 months. This is easier to stick to than a total spending ban and it means you'll really put thought into what item to purchase, meaning you'll wear it more too. Operate a one-in-one-out policy on new purchases. As I mentioned in my recent post on embracing minimalism, this is another great way to put more thought into new additions to your wardrobe or beauty cabinet. Ask for clothing store or beauty vouchers as gifts for birthdays / Christmas. That way you can essentially shop for free and you'll ALWAYS get what you want. Hold a clothes swap party with your friends and switch out your wardrobes! A completely free way of updating your wardrobe. Shop in the men's section for basics. If you need a plain white tshirt, buying this from the men's section will mean that you pay far less for essentially the same item. Bargain! Use online freebie sites. Recently, I've managed to snag some free toothpaste, shampoo samples and moisturisers too. All the fun of trying new products without the cost! Research budget makeup and clothing brands! If there's a good budget brand out there, you bet that a blogger somewhere has probably reviewed it, so seek out budget product reviews and consider switching to a cheaper dupe for your high end product when you run out! Use split ticketing for rail travel. On average, people save about 40% on rail fares by split ticketing. It really is a genius way to spend less without any real inconvenience to you. Eat like a local in a new city. The beauty of social media is that it connects you to people all over the globe, so utilise it before you hit a new city and seek out locals to advise you on the best value food spots. You could discover some real gems this way! Stay at home. You don't always have to jet off across the globe in search of a fantastic new experience! Your home town probably has loads of free things to do. Look up local museums or art galleries, for instance! Most have free entry. Get online savvy. Shop around for travel deals (at home and abroad!) on sites like Groupon, Wowcher, or Red Letter Days! Keep an eye out for discount coupons in newspapers or magazines. Supermarket loyalty points can also get you money off at attractions. Sign up to the mailing list of your favourite attractions. They'll email you when they're running promotions and you can nab a cut-price day out. Use a pre-paid travel cash card when abroad. This will save you a packet on transaction fees and conversion rates, plus they ensure that you're not carrying around big wads of cash, making you a prime target for theft. Hit up the Rome2rio travel search engine. This handy site tells you how to get to your destination by a variety of transport methods and lets you see which is cheapest. Travel on Terrific Tuesdays. My research indicated that the best value flights were to be had on a Tuesday. Tuesday and Wednesday are regularly thought of as "off-peak" times, since most passengers travel on Thursdays, Fridays, and at the weekend, when demand drives up the price. Pay a visit to the local tourism office. When you're away, check out your new city's tourism office either online or in person and they may be able to direct you to some fantastic free activities. Open a new savings account and put in a little each week! Seeing the total amount grow slowly but surely is really motivating. If you're saving for something special, print out a picture of the thing you really want and place it next to your computer - when you're next tempted to splurge online, you'll remember what you're saving for and you might think twice! Set yourself a challenge: can you cook a delicious meal for yourself on a tight budget? Give it a whirl and you can even write a blog post about how you got on! Allow yourself a small treat budget. This can be as little as the cost of a chocolate bar or a coffee, to be used as a pick me up when needed! If all else fails and you still find yourself short at the end of the month, don't beat yourself up. Small loans can be a big help* to get you out of a jam. 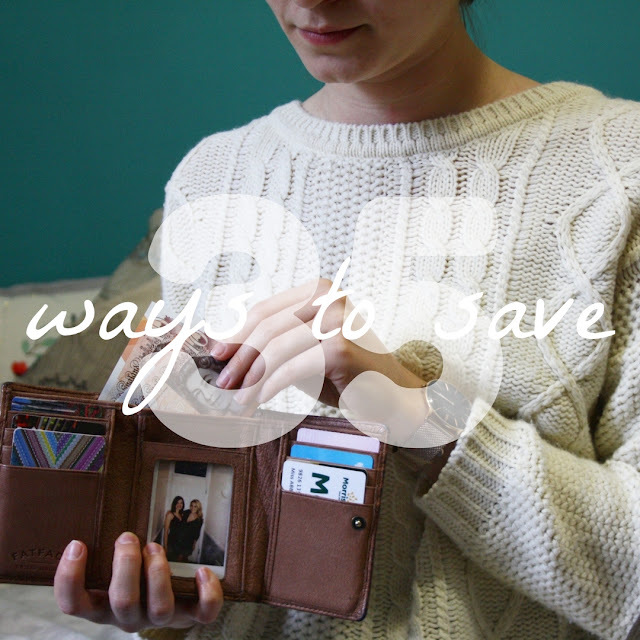 I hope you've found these saving tips useful! If you have any more to share, please comment down below, I'd love to hear them! Have you met my March advertisers yet?